Homeowners, retailers, big-box stores, educational, and medical facilities choose polished concrete because of the many advantages over other types of floor coverings. No other traditional floor covering materials are necessary when the slab on grade is used as the finished floor surface. Polished concrete floors are less vulnerable to damage than other materials and never need replacing. Polished concrete floors won’t harbor dust, dirt, or allergens, and will stay clean and looking like new with a simple damp mopping or occasional auto-scrubbing. Using the slab on grade as the finished floor surface is more cost-effective. Plus, polished concrete is more resistant to foot traffic. 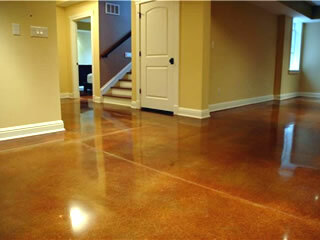 Polished concrete floors resist staining and are easy to clean with a simple damp mopping or occasional auto-scrubbing. They also eliminate the need for messy waxes or coatings (and the labor, time, and expense to apply them). 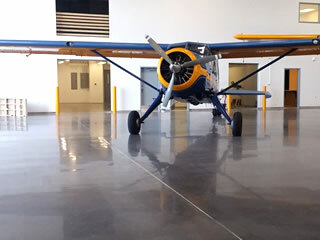 Polished concrete allows the floors to breathe and eliminates issues found with other flooring materials that seal-off the concrete, such as tile, etc. An important benefit for office buildings, restaurants, and other public facilities that want to project a bright, clean, professional image. 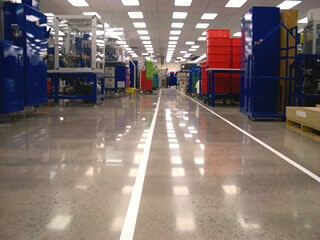 Polished concrete’s high reflectivity also reduces artificial lighting requirements and the associated costs.